Rice, rice, rice. I love rice. I put some things on the rice. 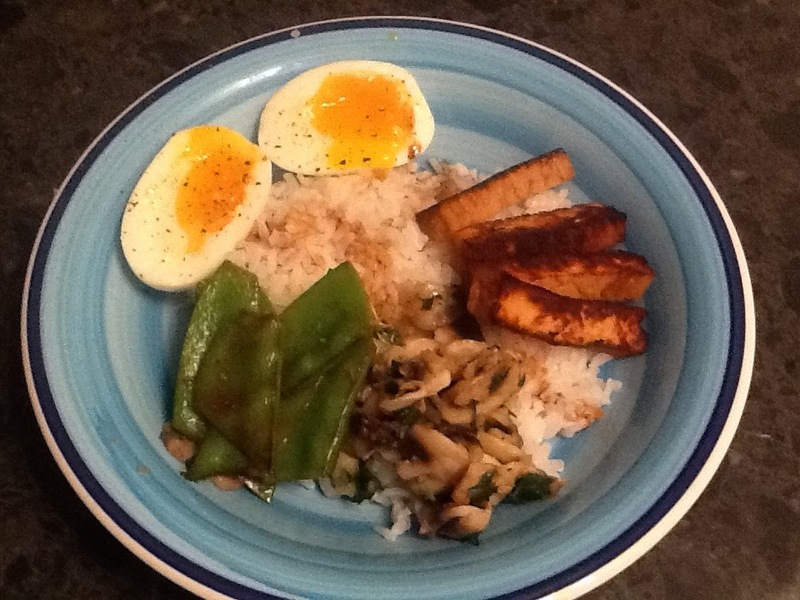 Tofu, mushrooms with garlic, soft boiled egg & snow peas. ← 31/7/2013 – I’m still here!